If you ask a modernist chef, pastry chef, barista or mixologist about the tools that they absolutely can’t work without, many of them are going to tell you that an iSi Whip, or specifically an iSi Gourmet Whip Plus , is an integral part of their workday. 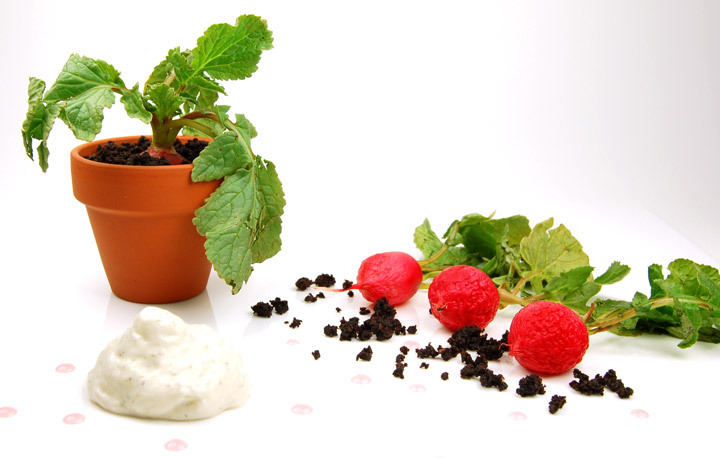 Traditionally used just for quickly whipping cream, the iSi Gourmet Whip has played a huge role in allowing molecular gastronomy chefs to create new elements that help them express flavors and textures in innovative ways. Hot and cold savory foams (aka espumas), cocktail foams, airy sauces, rapid infusions, mousses, fruit carbonation, fluffy and light batters, ultra fluffy and moist sponge cakes, marinade injections and faux truffles are some of the creative applications of the iSi Gourmet Whip by modernist cooks. The iSi Whip is not only a very versatile tool but preparations become practically foolproof and can be held for hours or even for days whereas traditionally, they needed to be presented immediately in order to maintain the form and flavors that you worked so hard to create. What is an iSi Gourmet Whip? But what is an iSi Whip, exactly? An iSi Whip is a tool that uses gas and pressure to whip cream and create foams, fluffy sauces, light soups or infusions in just a matter of minutes instead of hours with incredible results. They are cylindrical stainless steel canisters with a handle and assorted tips for dispensing. The inert gas used with the iSi Whip is nitrous oxide (N2O) and it comes in a recyclable disposable cartridge called a charger. The N2O charge is attached to the iSi Whip canister to inject the exact amount of gas necessary to create the final product. The iSi Gourmet Whip has a brushed finish and comes in 3 different sizes: iSi Gourmet Whip ¼ liter (half pint), iSi Gourmet Whip Plus ½ liter (pint) and iSi Gourmet Whip Plus liter (2 pints). The polished finish iSi Thermo Whip comes in a ½ liter (pint) size and is the only whip on the market made specifically to keep cold foods cold for up to 8 hours without refrigeration and hot foods hot for up to 3 hours. 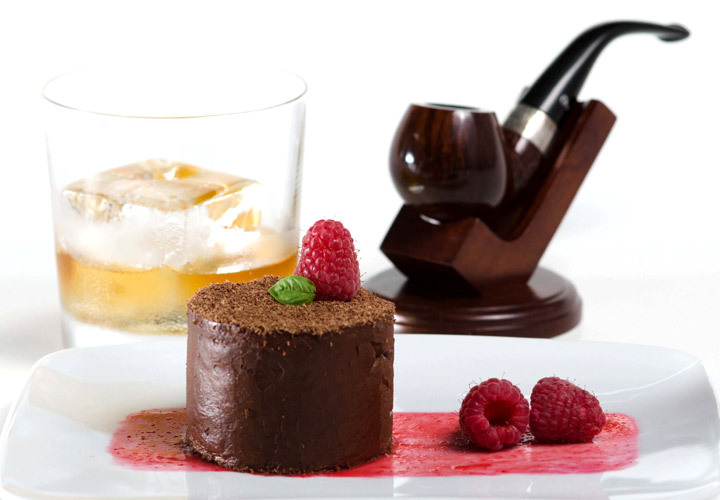 There are several different types of iSi Whips created to meet the specific needs of the user but these are the top 3 used in molecular gastronomy. They’re all portable, durable and easy to use. 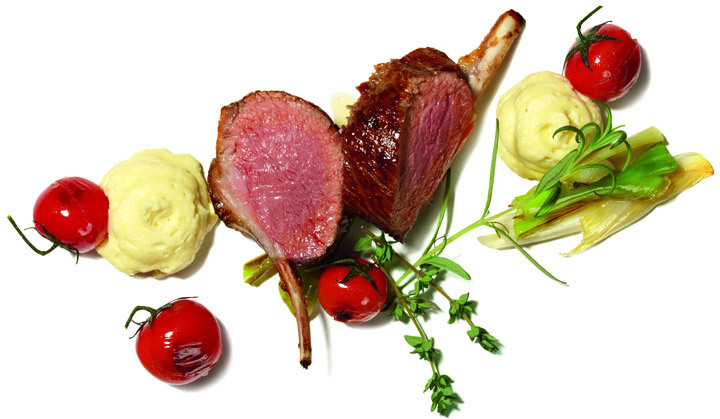 Why Use an iSi Gourmet Whip? 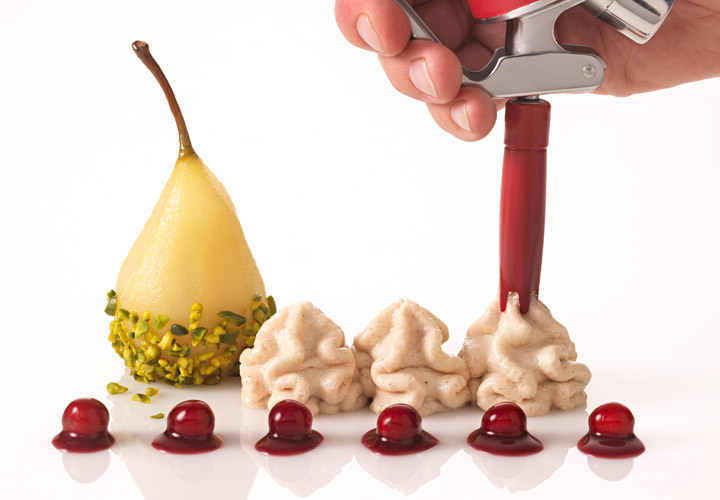 Using the iSi Gourmet Whip increases your product yield; an espuma can yield up to five times the volume of what you put into it. Since the product stays pressurized, it holds its form for much longer than the few minutes that you may have if you don’t use the whipper. This helps you manage your time and reduce waste. Finally, it only takes a few minutes to build a cream or foam instead of the several that it would take to do it by hand so your time can be spent on the myriad other tasks on your to-do list. You will also use fewer kitchen tools so there is less to clean up when you are done. Because the chargers guaranteed to expel exactly the right amount of gas every time, your product is consistent and you don’t have to guess at what you’re going to get. Your creation will be perfect every time. 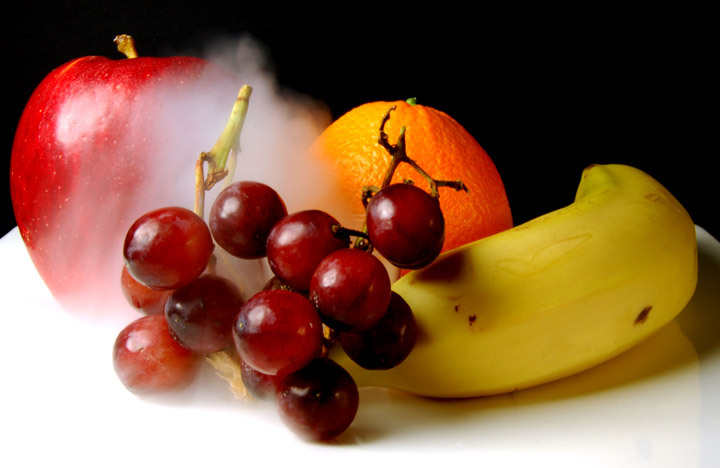 The N2O gas is inert and does not add any flavor to the preparation. The iSi Gourmet Whip is made of high quality stainless steel and silicone gaskets making it safe for hot and acidic preparations. Aluminum whippers are not appropriate for hot and acidic preparations. 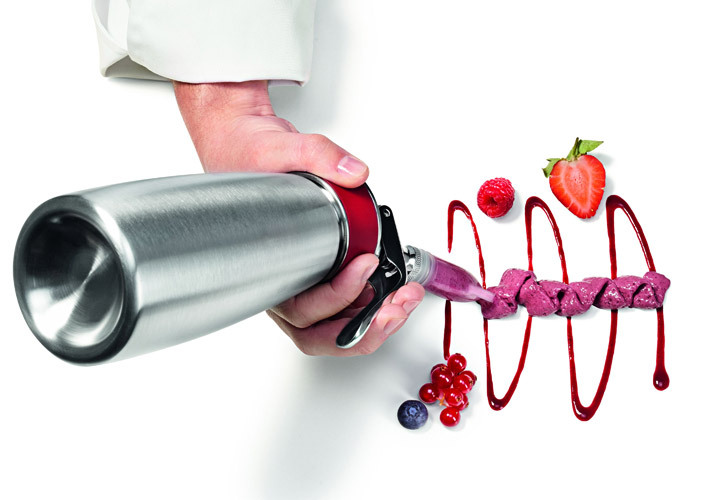 Instead of needing different tools to make frostings, foams, creams, sauces and infusions, you only need your iSi Whip. It’s easy to wash, though they’re not all dishwasher proof so be sure to read your manual before you toss it in. The decorator tips that come with it enhance precision and utility because you can just attach it right to the iSi Whip and dispense the product as you want it to appear. There are also some new iSi decorating tips and iSi injector tips that you can purchase separately for special presentations and injecting marinades or filling narrow food items. No more switching to a pastry bag with a tip. The whip is easy to hold so getting the exact look that you want is made simpler. Heavy duty stainless steel construction makes the iSi Gourmet Whip tough enough to stand up to the abuse that comes with being a piece of equipment in a busy restaurant, bakery or bar. The heat-resistant gaskets last well, too. The iSi Gourmet Whip resists going through continued cycles of dish washing, preparing acidic ingredients and hot preparations without problems. Who’s Using the iSi Gourmet Whip? 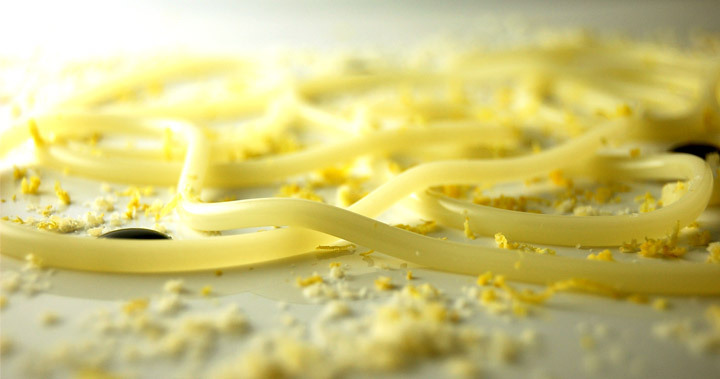 The iSi Whip isn’t just a novelty tool; it’s used daily by such molecular chefs of note as Chef Ferran Adrià, who elevated both sweet and savory foams from obscure processes to innovative, modern additions to flavor profiles. 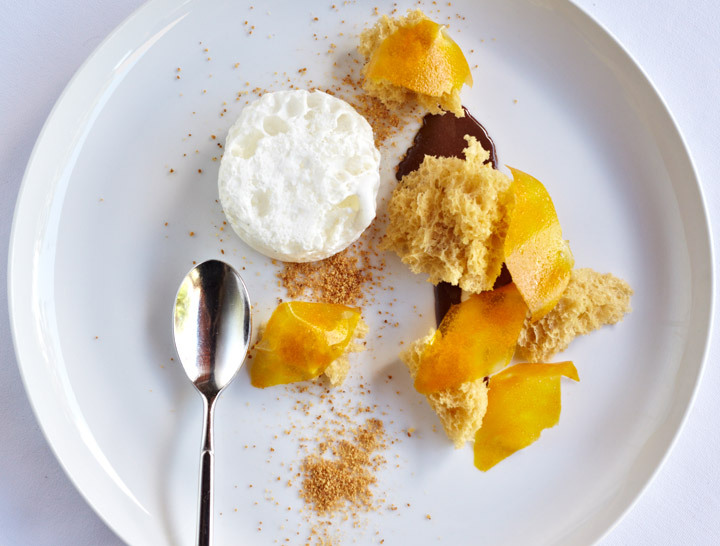 Other noteworthy modernist chefs who swear by the iSi Whip include José Andrés, Paul Liebrandt, Johnny Luzzini and Alejandro Digilio. What Are Some Great Uses for the iSi Whip? We’ve touched on some of the most common uses for the whip, but we also have some amazing recipes to get you started or to use as a jumping off point for your own creations. You can also search here for iSi Gourmet Whip Recipes. 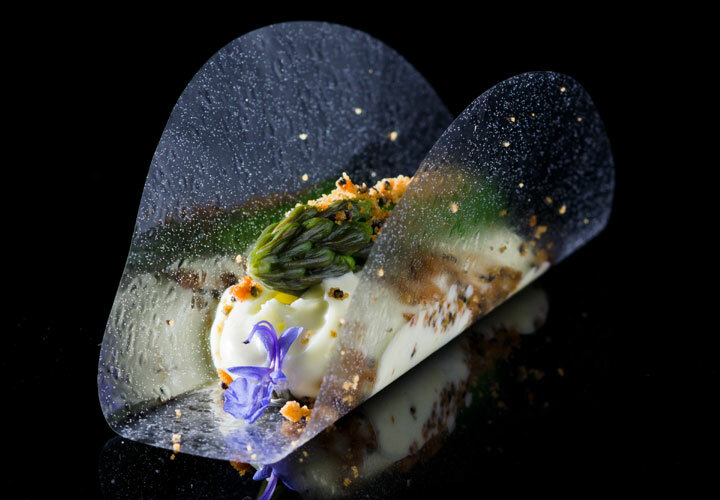 Foams and mousses are great ways to introduce flavors and textures to any dish. 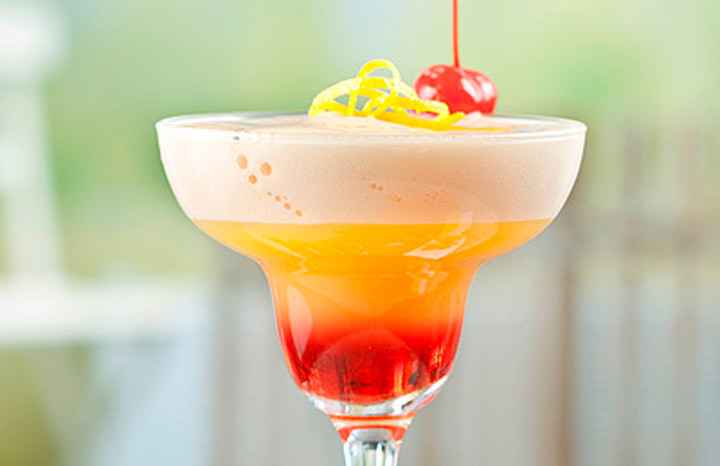 They also add visual flair to a plate and can even be used in cocktails to add flavor, color or simply stunning visual appeal. There are many types of foams and mousses. Foams are, logically, less dense than mousses but the process for making them is often extremely similar. Foams and mousses may be sweet or savory, hot or cold. It’s all a matter of what you want to do. Here are some good recipes from some of our favorite chefs. 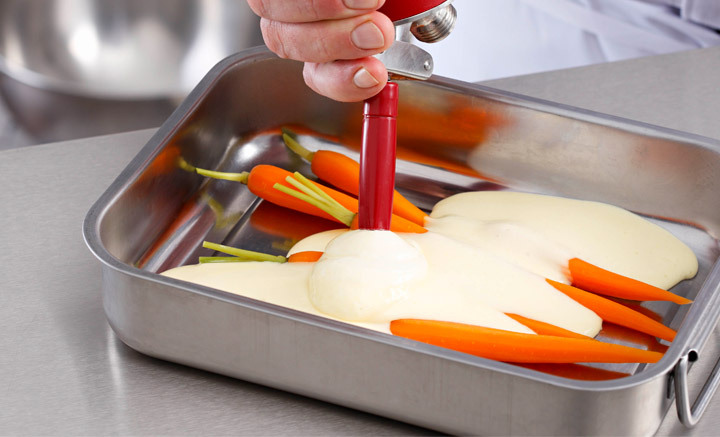 To serve hot foams you can keep the contents of the iSi Gourmet Whip hot in a water bath, sous vide or bain marie, during service or you can use an iSi Thermo Whip which will keep them hot for up to 3 hours. Try these amazing hot foams with your iSi Whip! These are closer to traditionally whipped cream but you’ll notice that with the iSi Whip they are much lighter and airy. And as an added bonus, they are faster to make, minimize the use of kitchen tools you use so clean up is easier and you can keep them for several days in the iSi Whip and still get the same amazing quality when serving. 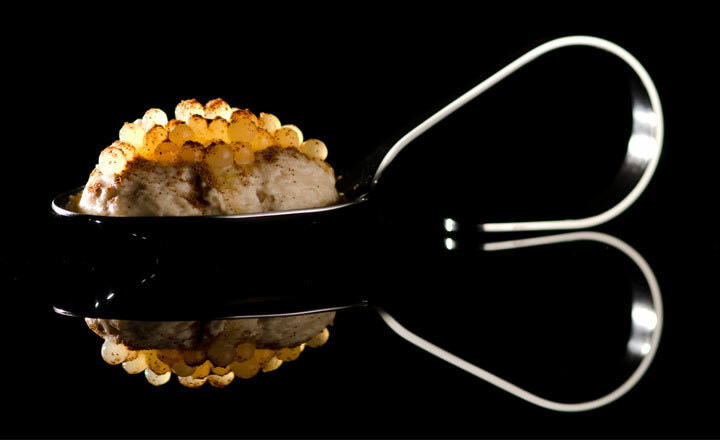 Savory foams created with an iSi Gourmet Whip were first introduced by molecular gastronomy Chef Ferran Adria. 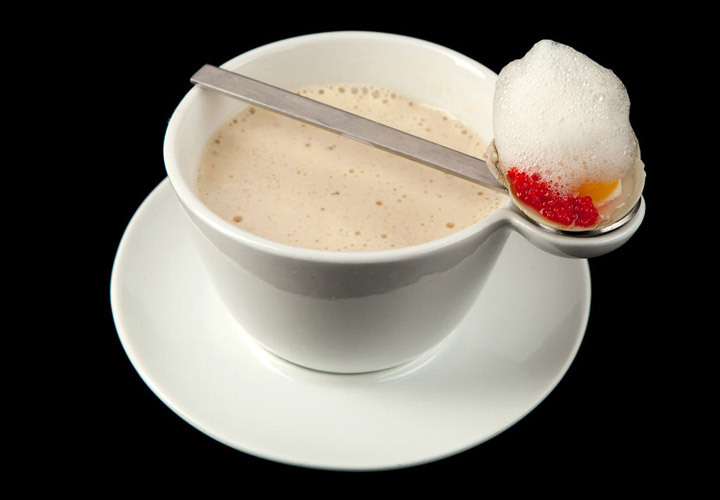 Here is a great savory cold foam recipe for you to try. This is a great technique developed by modernist Chef Alejandro Digilio. 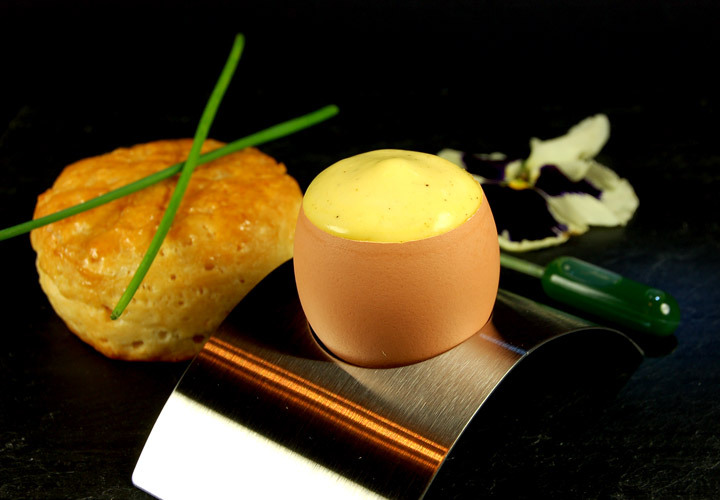 Using the iSi Whip without nozzle, he expels an irregular foam ball on a spoon, which, when covered with bread crumbs, it resembles a truffle. Most foams made with the iSi Gourmet Whip contain cream or gelatin, but thanks to an ingredient used in modernist cuisine, glycerin flakes, you can make foam with any oil and an iSi Whip. 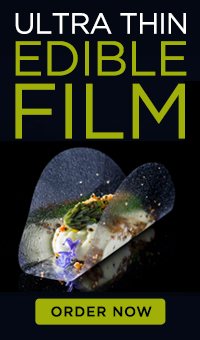 It is extremely easy to make and will definitely add a modernist touch to any dish. Foams not only can be sweet or savory, hot or cold, but they can also contain alcohol to complement a cocktail or even a dish. The ease of use, speed and storage capacity of the iSi Gourmet Whip makes it a perfect tool for molecular mixologists at busy bars or for a crowded party at home. 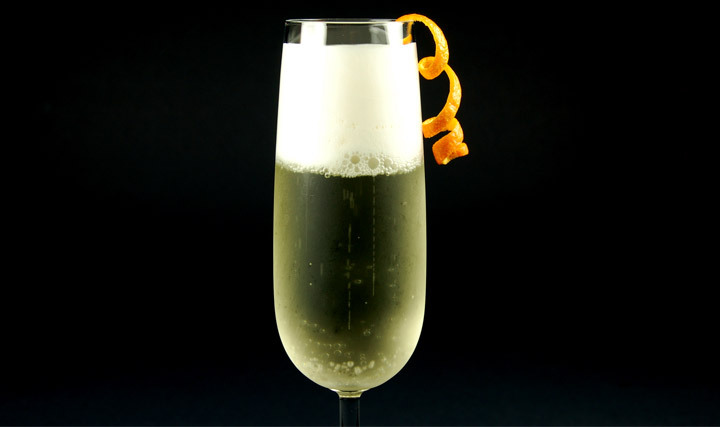 Try this Elderflower Foam with Champagne and delight your guests with no effort! I love this application of the iSi Whip. 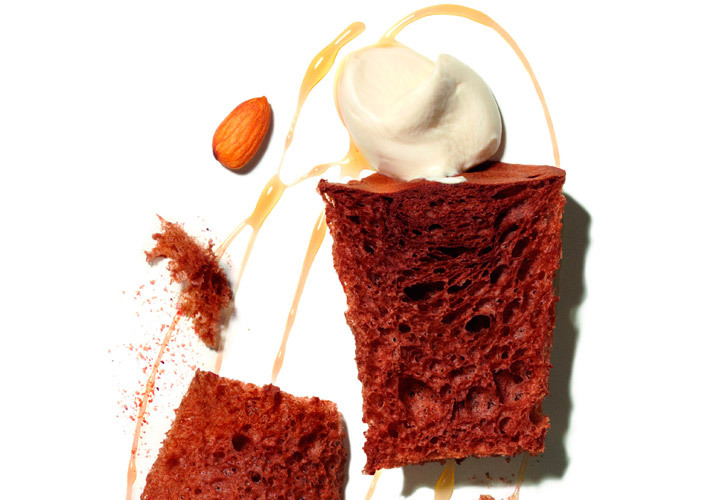 Molecular gastronomy Chef Ferran Adria developed this technique to make a fluffy, moist sponge cake in just 40 seconds in a microwave. This modernist sponge cake has the largest air pockets you have seen in any sponge cake thanks to the iSi Whip! 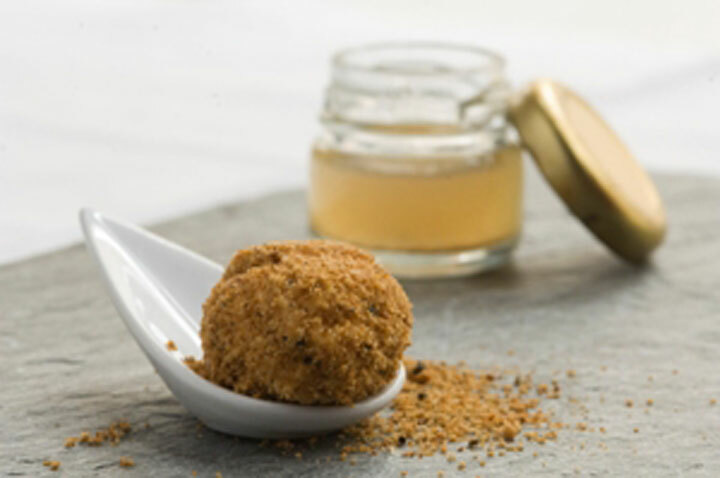 The spherification technique developed by Ferran Adria is most often used to encapsulate liquids with a sphere shape but you can also use it to encapsulate a foam. 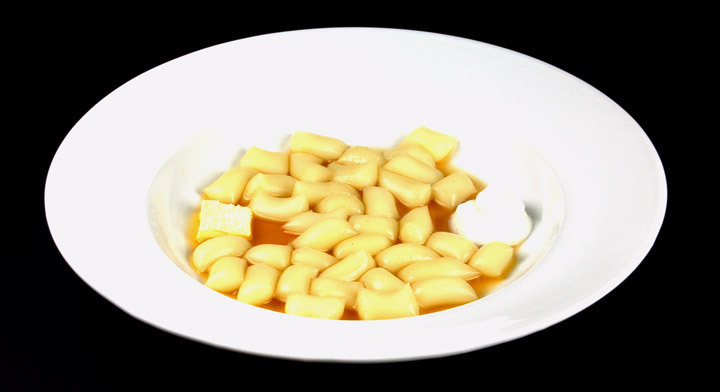 Also created by modernist Chef Ferran Adria, these potato foam gnocchi will certainly blow your mind. Why just have cold foams and not frozen? Another great way to create a new texture is to freeze the outside of a foam and keep the inside soft and airy. 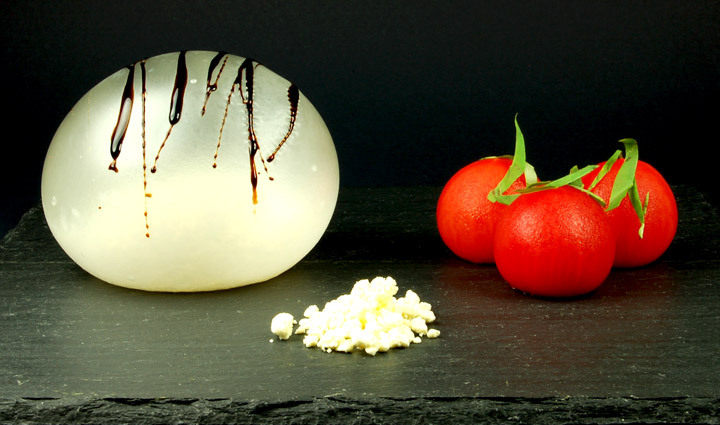 Check out this blue cheese frozen foam using a home made “anti-griddle”. There’s no better way to increase the flavor profiles of simple dips, oils and alcohols than to infuse them with your favorite herbs or spices. Usually infusing oil or alcohol takes hours, days, or even weeks but with the iSi Whip, you can do it in a matter of minutes and without heating. Just place the ingredient to be infused in the iSi Whip together with the flavorful ingredient, charge it with N2O, wait for a minute and suddenly expel all the gas. That’s it, rapid infusion with the iSi Whip. 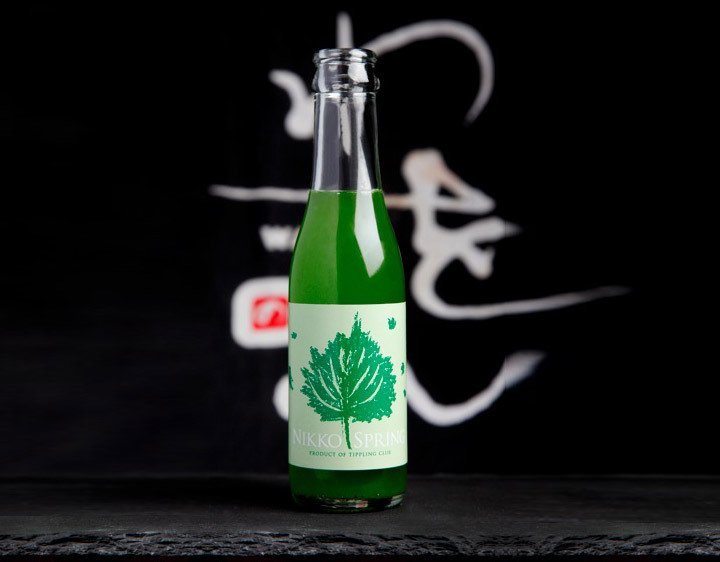 You can read more about infusing liquids with the iSi Whip in this article. Adding fluff and lightness to your sauces and soups can take them from delicious to sensational simply by modifying the texture a bit. They can be playful, fun and light without losing the flavors that you want to impart. Check this airy modernist NE clam chowder for example. Fluffy batters make delicious pancakes, waffles, and tempura coatings and the iSi Gourmet Whip makes it a piece of cake to do. 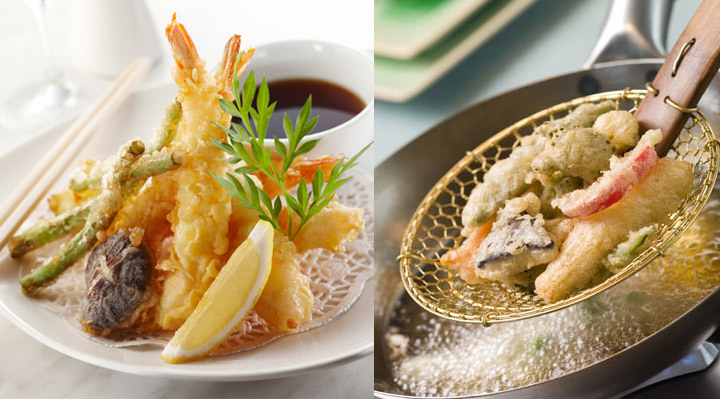 Get recipe of ultra-light tempura with the iSi Whip here. Another great way to add dimension to a dish is to carbonate it and the iSi Whip is the perfect tool for the job. It’s quick, it’s easy, and it’s practically foolproof. Use it to carbonate fruits, veggies, cocktails and spheres. You just need to use an iSi CO2 charger instead of N2O. You can also use an iSi Soda Siphon for this purpose. Just follow these recipes and you’re guaranteed to have a nicely carbonated fruit, liquid or gel. 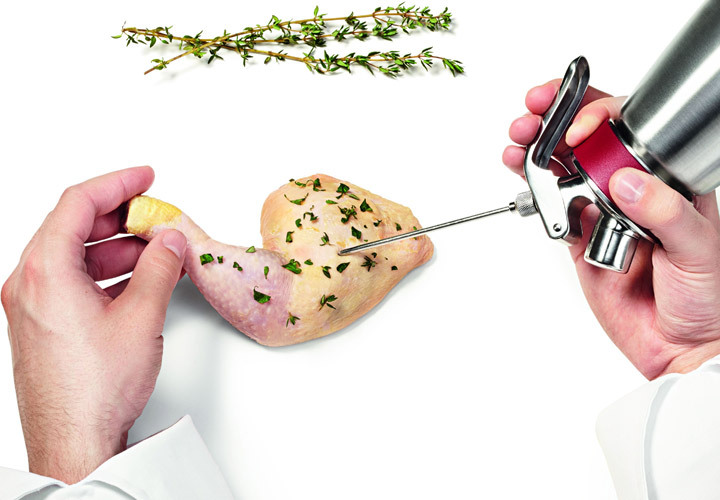 You’ve probably heard about injecting flavors into proteins with a needle but the iSi whip is a much more efficient way to do it because you can infuse your own oils and marinades to create your own flavor profiles to suit your tastes right in the iSi Whip, then inject it directly with gas pressure into the meat. If you’re serious about cooking, baking or mixology, especially using modernist techniques, you really do need to invest in at least one iSi Gourmet Whip. It will save you time, money and frustration because your product is going to turn out perfectly every time. They’re extremely affordable especially considering the time and money that they will save you in time, lost product, and additional equipment and quite simply have a place in every kitchen. Don’t just take our word for it, though. 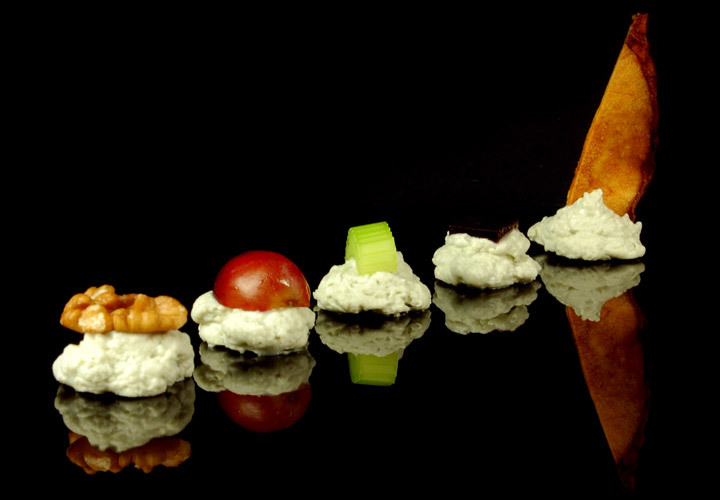 Ask any successful molecular gastronomy chef, and you’ll hear the same thing. Get whipping!